It is surprising the ease of editing videos and images and cloud storage all at once, the speed of response in access and help. the tools are easy to use very complete and above all the prices are excellent. In the past, the program that provided the service does not have the necessary level of response, cloudinary offers me and solved my problems of delivery and images, videos and files, with fast delivery between clients, easy access, I have saved a lot of time in image editing My clients have sent me feliciations more often and they are very happy. "Great Cloud based Image Management"
Very easy to use. We're only using the free version right now, but still are able to do a lot with our images/videos, like overlays, cropping, and so on. Integrates seamlessly with the CMS in use. Definitely, will recommend signing up for it. Works much better and faster than storing images on the server, and the UI for the platform is very intuitive and easy to use. "Versatile tool but needs some polish"
I'm very impressed with the range of options and flexbility within cloudinary for making transformations - and the speed at which dynamic images are served. The interface and methods to create transformations is clunky, and old looking. Before committing for full usage trial different methods of delivering your iages as the costs can ramp up if everything you serve is dynamic & transformed all the time. We're using it to serve dynamic product images and banners to our email list which helps personalisation and incresses engagement such as click rate. "One of the Best Featured Pack CDNs Around"
One of the best advantages you can have using cloudinary is the automated ways of serving image assets on your websites. From resizing to serving an alterntaive format of the image based on the user's browser is very innovative to increase overall speed load times. They even have the ability to upload videos and to manipulate them on demand through the use of transformation , quality and many more options. I would also reccomend Rackspace CDN and Amazon AWS. On a side note for those of you that are more technical savvy, the images and assets that are served to your user through Cloudinary save and CACHE those items for even faster delivery the next time the same assets are required by the web page. "Easy to use image management software"
The integration into our backend is seamless. 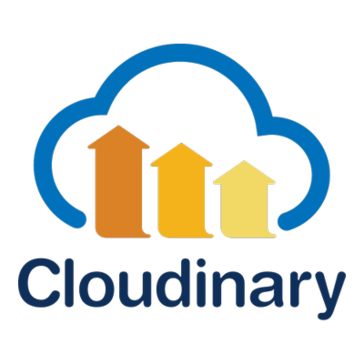 Cloudinary offers various image enhancement features and quality options. The quality and aspect ratios are on easy to use sliders that don't require any additional training to use. We've had some issues with image quality on the front end of our site using Cloudinary. They stem from a combination of the actual code of our site and Cloudinary image quality controls. Right now we can't use the highest image quality without taking a hit on load times. Using Cloudinary we were able in increase overall image quality on site as well as more accurately catalog uploaded images for quick searching. "Probably the best image handling service"
Ease of use, by far. Everything from adding overlays to facial-recognition based cropping, it's a breeze. I also really appreciate the amount of leniency they have for development environments. I've regularly gone over my developer resources by two-fold and they simply send me an email asking me to tone it down a bit. I love this service. The pricing can be a bit much if you're a high traffic site. We found that we utilized only around 5% of our storage, but were going way over our bandwidth. I know they use AWS for hosting so it might be difficult to shift costs around. Seriously try it out. There are a few others that do it, but with all the addons and the standard functionality that comes with it, you'll be hard pressed to find anything better. We utilize Cloudinary heavily in our online publications, and being able to seamlessly deal with manipulations and store on a CDN without having to roll our own has been amazing. Cloudinary is a pretty robust platform, haven't seen any slowdowns or issues as of yet. This repository is key for all of our digital assets. The folder structures and auto transformations makes it a necessity for us. I don't like the plans and wish they were more customizable (we need more bandwidth, for example, but less transformations). Hosting all of our digital assets on this site in one place helps us to keep track of them and transform them at will. It is very useful an easy. I really like this system and would recommend it. It is good for an average company or small scale. Very insightful and user friendly. Great. Could have more options. It is a little expensive and hard to pitch for that reason. Yes, but it is good even though the price is somewhat annoying. "Easy to manipulate images through a simple URL"
The JS widgets could get updated a little more often. I use cloudinary to let users upload an image, and then get the image back in different sizes and shapes without needing to program any of the transformations or store them on my side. "Convenient Conversions on the Fly"
Image/Video conversion and manipulation through params. Simply the price. Everything else was rather easy to implement and works reliably. Cloudinary allows us to convert (resize, change file extension, watermark, and clip) so to help people without solid tech skills get what they need. "Freedom from individually resizing images! " * We monitor all Cloudinary reviews to prevent fraudulent reviews and keep review quality high. We do not post reviews by company employees or direct competitors. Validated reviews require the user to submit a screenshot of the product containing their user ID, in order to verify a user is an actual user of the product. Hi there! Are you looking to implement a solution like Cloudinary?